GM’s new green dealer program: For GM dealers looking to attract car shoppers who are searching for fuel-efficient vehicles from environmentally responsible companies, pay attention to the Green Dealer Recognition Program. Participating dealers in the Chevrolet, Buick, GMC, and Cadillac brands in the US are participating in the program to earn the credential. That comes from energy reduction, renewable energy use, water conservation, recycling, community outreach, and setting up onsite nature habitats, according to General Motors. GM has been recognized for its corporate sustainability initiatives, and this program ties into goals to reduce its environmental footprint and green its supply chain. 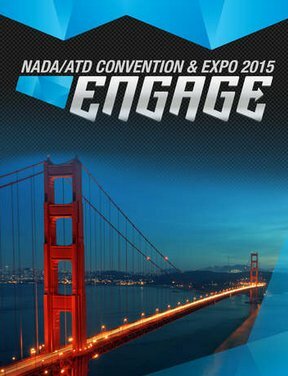 Dealers are joining the program voluntarily and are encouraged to build a network for sharing best practices. 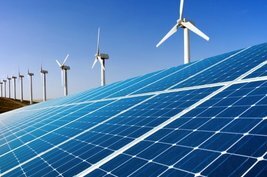 More clean transportation funding: US Energy Secretary Ernest Moniz last week announced that $55 million will be available to develop and deploy vehicle technologies that strengthen the clean energy economy. Funded projects will include advanced batteries and electric drive research and development, lightweight materials, advanced combustion engines, and alternative fuel technologies. The Dept. of Energy will support projects to reduce the price and improve the efficiency of electric vehicles, alternative fuel, and conventional vehicles. 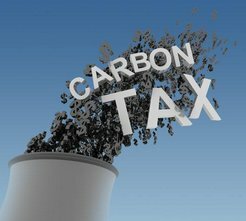 About that time, California Energy Commission (CEC) announced granting about $12 million through its Alternative and Renewable Fuel and Vehicle Technology Program. About $11.2 million will go to natural gas vehicles and will be administered through University of California, Irvine. In a separate announcement, the Luskin Center at University of California, Los Angeles, said that its’ won two project grants from CEC. The first project through Luskin Center’s Southern California Plug-In Electric Vehicles Readiness Plan will take on bringing more charging stations to multi-unit dwellings. The second project teams with UC San Diego, San Diego Gas and Electric and others to manage solar energy in tandem with workplace electric vehicle batteries. 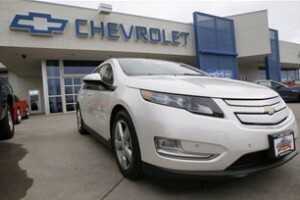 Green Car Journal presented its second round of green vehicle awards at the Washington Auto Show. The Jeep Grand Cherokee EcoDiesel won Green SUV of the Year, the BMW i8 took Luxury Green Car, and the Ford F-150 won Green Car Technology for its new design including using aluminum reducing the truck’s weight by about 700 pounds. The i8 beat out the Tesla Model S, Cadillac ELR, Porsche Panamera S E-Hybrid, and the Audi A8TDI. In a separate competition, the 2015 Ford F-150 took the top prize in the Automotive Science Group’s (ASG) fourth annual life-cycle study. According to ASG, the F-150 holds the smallest life-cycle carbon footprint and lowest cost of ownership of any full-size truck in the North American market today. Last week, Ford opened the doors of its new Research and Innovation Center (RIC) in Palo Alto, Calif., aimed at technologies and experiments in connectivity, mobility, autonomous vehicles, customer experience, and data analytics. The automaker has formed an alliance with Stanford University, creating the Fusion Hybrid Autonomous Research Vehicle for testing by engineers. Dragos Maciuca, an experienced engineer from Apple, has joined Ford to serve as senior technical leader at RIC Palo Alto; additional hiring plans will support Ford in meeting its goal of having one of the largest automotive research teams in Silicon Valley. Connecticut may allow sales of Tesla vehicles: Connecticut originally rejected Tesla stores as a violation of its law banning automakers from operating their own dealerships, but that may be changing. If the law is altered, Connecticut will join Massachusetts, Minnesota, New York, Nevada, and Pennsylvania in legalizing Tesla direct sales (sometimes with restrictions). Tesla has been banned from Arizona, Michigan, Texas, and Virginia; and is limited to one store in Colorado, and was forced to close its two stores in New Jersey last year. NGVAmerica just released a study making a strong case for natural gas vehicles. The study looked at world crude oil prices on an historical perspective along with energy forecasts. Natural gas has been much more stable and low-priced than gasoline and diesel for decades. That makes a compelling case for bringing in natural gas vehicles by commercial and government fleets; transportation costs represent a large share of their budgets, so the need to predictably plan fleet acquisitions and fueling is critical. More electric car news: Porsche will roll out the long-anticipated Pajun sedan, but only as an electric model. Plans have been dropped to roll out gasoline and diesel versions. The sporty sedan will go head-to-head with the Tesla Model S. Chevrolet will be bringing its Spark EV to Maryland this spring, its first East Coast entry and third state overall – following California and Oregon in 2013. Maryland is a “strong commuter market” with relatively widespread charging infrastructure, General Motors said in a statement. Goodbye nuclear, hello hydrogen: Toyota will be spending 45.2 billion yen ($385 million) on fuel cell vehicle subsidies and hydrogen stations before the 2020 Olympics in Tokyo. It’s part of Prime Minister Shinzo Abe’s strategy to move the nation away from reliance on nuclear power following its March 2011 disaster at the Fukushima nuclear power plant. 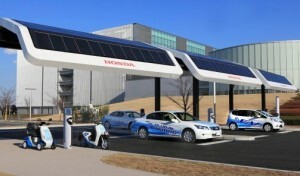 Japan’s capital will build 35 stations to fuel hydrogen-based fuel cell vehicles and is in negotiations with Toyota Motor Corp. and Honda Motor Co. to put 6,000 hydrogen cars on its roads by 2020. BMW and Volkswagen have formed an alliance with ChargePoint to build 100 DC fast charger stations along bi-coastal routes. The West Coast route will stretch from Portland to San Diego, while the East Coast route will run from Boston to Washington, D.C. The chargers will be spaced at intervals of 50 miles or less, to alleviate driver range anxiety. Unveiling the Chevrolet Bolt and 2016 Volt changes stole the thunder last Monday at the North American International Auto Show. As for the rest of that week…….. Tesla Motors CEO Elon Musk was a keynote speaker at the Automotive New World Congress and said that Tesla will boost production of its electric vehicles from less than 40,000 last year to at least a few million by 2025. The company may not be profitable until 2020. Chinese sales were weaker in the fourth quarter of 2014 than the company had expected; Musk said city-dwelling Chinese consumers have misperceptions about the difficulty of charging their electric cars. On Thursday of last week, Musk traveled to Texas and urged state legislators to ease restrictions on selling Tesla electric cars there, and the possibility of setting up a new car factory or test facility for his “hyperloop” fast train…… Volkswagen debuted its five-seater Cross Coupe GTE. The plug-in hybrid has a maximum output of 355 horsepower and an all-wheel-drive system. It has a manufacturer-estimated fuel economy rating of 70 MPGe…….. Honda showcased its FCV hydrogen fuel cell vehicle concept with US availability of the production vehicle in 2016. The company also announced plans to offer several next-generation, advanced powertrain vehicles, including a new battery-electric model and plug-in hybrid model by 2018………. Ford unveiled the all-new GT, an ultra-high-performance supercar that serves as a technology showcase for top EcoBoost performance, aerodynamics and lightweight carbon fiber construction……… Hyundai revealed a plug-in hybrid version of the Sonata midsize sedan that will go on sale this year. Hyundai said it plans to start by selling the 2016 Sonata PHEV in California and nine other U.S. states that mandate sales of zero-emission vehicles. Former GM product czar Bob Lutz says that Via Motors delivered its first 40 plug-in hybrid Chevrolet Silverado converted pickups to fleet customers, and 200 retrofitted Chevrolet Express vans are in the works. Lutz plays a leadership role with Via, and he says the company expects to sell 50,000 vehicles per year by 2018. Cheap gasoline prices make it harder to sell electric cars, says Ian Robertson, BMW’s head of sales and marketing. He expects sales to dip in a few countries due to declining gas prices. Maybe a 60-second spot during the Superbowl will help move the metal. The i8 plug-in hybrid is only available in limited production and is quite expensive with a list price of $137,450, but the interest in strong. People are waiting about a year to receive their i8, doubling the delivery this year to 1,000 plus compared to last year. Ludwig Willisch, CEO of BMW of North America, said those i8 models won’t be in the US until October. Roush CleanTech has earned California Air Resources Board (CARB) retrofit certification for all Ford 6.8-liter vehicles for model years 2012 to 2015 – and is the first company to receive this certification for propane autogas. Any 2012 – 2015 model year Ford E-450, F-450, F-550, F-650, F-53 and F-59 vehicles can now be converted to run on propane autogas in all 50 states. A recent JD Power and Associates study found that fuel economy has been the top vehicle buying decision for consumers for the past four years; and it should stay high on their consideration list even with the huge drop in gasoline prices, a JD Power analyst said. The California Energy Commission approved more than $12 million for alternative fuel vehicle projects during its first business meeting of the new year. 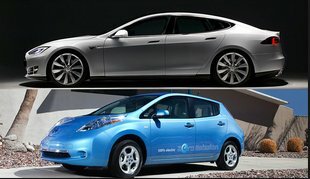 Regents of the University of California will receive $11.2 million for a natural gas vehicle incentive program; US General Services Administration will receive $600,000 to install 50 electric vehicle charging stations at federal facilities in California; and Linde LLC is receiving $300,000 for a new hydrogen fueling station in West Sacramento. Uber will provide the City of Boston with data on its ridesharing service trips as part of Boston’s plan to ease traffic congestion and assist in smarter city planning. Uber will provide a quarterly report with trip logs with details on the ride – pickup days and times, distance travel, and zip codes where passengers were picked up and dropped off. That follows new rules from the state of Massachusetts officially recognizing Uber and other ridesharing services as valid modes of transportation. Question: could carsharing services track and report trips to cities and fleets? Tom Saxton, chief science officer for Plug In America, analyzed how things are going for workplace electric vehicle charging in a blog post. One of the challenges is finding the “just right” fee for charging costs. Free charging is a good thing for kickstarting awareness of electric vehicles but it’s not going to last forever. Free charging can lead to oversubscription and reduce charging availability for those needing charges; that would discourage EV adoption from people who could most benefit from charging at work, Saxton says. While the price drop at gasoline pumps was a leading topic last week at the Detroit Auto Show, it’s not going to last forever, says Bob Carter, the head of US automotive operations for Toyota. Carter is in agreement with most other automotive executives that those prices will go up; but the question continues on what impact it may have in 2017 during the industry-government review of the 54.5 mpg corporate average fuel economy by 2025 mandate. Your company may be ready to contribute clean transportation and cleantech to your community – electric vehicle charging stations powered by solar energy; electric trucks perfect for urban deliveries; a propane dispenser ideal for fleets; a mobile device for finding alternative fueling and charging stations; or an advanced vehicle technology R&D project such as a NextGen lithium battery that needs the right seed capital to make it work. Clean transportation and other cleantech startups and established companies are very familiar with government grants and low-interest loans as a capital source. There’s another channel that is becoming just as important in the cleantech space – crowdfunding. The challenge is finding the right resources to turn that idea into action that’s best suited for your company. Crowdfunding is being used by startups as well as by companies and investment firms looking for the right partners. A clear example of the strength of crowdfunding comes from Hyperloop, the high-speed transit system announced in August 2013 by Tesla Motors and SpaceX chief executive Elon Musk. That launch led to the creation of Hyperloop Transportation Technologies, Inc., which was founded by JumpStarter Inc. utilizing JumpStarter’s crowdfunding and crowd collaboration platform JumpStartFund. This special report explores the landscape out there in crowdfunding, and a consulting firm that works with cleantech companies on finding the right strategy for reaching their goals. Click here to read it. The Detroit Auto Show opened with a bang for Chevrolet as it announced the Bolt electric crossover and the redesigned 2016 Volt. Rumors about General Motors working on a crossover version of the Volt have been fairly accurate – only it has a different name and it will be all-electric, not a plug-in hybrid like the Volt. The Chevrolet Bolt is expected to roll out in 2017 and compete directly with the Tesla Model X electric crossover. 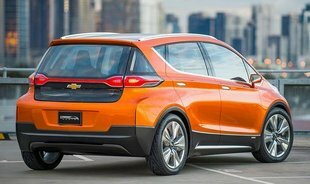 General Motors says the Bolt should get 200 miles per charge and will sell for about $30,000 with the federal tax incentive; and it will play a big role in strengthening its leadership role in electrified transportation. (See photo of the Bolt concept car.) The 2016 Chevy Volt was revamped to address needed improvements, including quieting the engine, improving performance and adding space to the interior. It will also deliver a lot more range – an estimated 50 miles per charge instead of its current range of 38 miles. 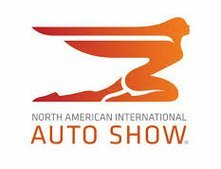 More from Detroit Auto Show: Winners of the North American Car and Truck of the Year awards were the Volkswagen Golf “family” (which will include all-electric and clean diesel versions) and the Ford F-150 and its lightweight aluminum body and improved fuel efficiency. Mercedes debuted its new plug-in hybrid, the C350. Daimler AG chairman Dieter Zetsche downplayed fuel economy in these days of cheap gasoline and focused on performance – zero to 60 in 5.9 second, sports-car like handling, and the ability to reach a top speed of 130. The Nissan Leaf may more than double its output in its next version – up to 200 miles on a single charge. Nissan CEO Carlos Ghosn unofficially made this comment following a media briefing. Nissan is working with NASA on a five-year project to enable autonomous vehicles. By the end of this year, a fleet of Nissan Leafs will be tested to use hardware and software jointly developed by Nissan and NASA. Testing will take place at Nissan’s Silicon Valley Research Center and NASA’s Ames Research Center in Moffett Field, Calif.
California Gov. Jerry Brown raised the bar again during his State of the State address last week. Gasoline consumption should be reduced by 50% over the next 15 years, 50% of the state’s electricity supply should be powered by renewables by 2030, and energy efficiency should be doubled in existing buildings. Brown, at age 76, just started his fourth and final term as California’s governor and wants to see the state heighten its role in the fight against global warning. Pope Francis is expected to issue an “encyclical” outlining the Catholic Church’s stance on climate change. It will likely reinforce the church’s strong stance with concern over climate change and its impact on the planet and its population. This has been gaining a wave of media coverage and social media mentions for its symbolism. The leader of the Catholic Church with its 1.2 billion members is joining ranks with most of the world’s leading scientists – uniting religious and moral issues with science, at least on the global warming question. Here comes the fastest electric car………. The Detroit Electric sports car is moving forward and will soon be built at a new facility in Leamington Spa in England. Detroit Electric is shooting for building the world’s fastest electric car that will hit 60 mph in a mere 3.7 seconds and is powered by a 285-hp electric motor. It’s being built on the chassis of the Lotus Elise, the same as the now-discontinued version of the original Tesla Roadster. While still calling itself Detroit Electric, the company had to move out of that hometown overseas to England last year. Car-sharing company car2go, will be launching its service in China. That will happen in the Chinese metro market of Chongqing within the next year, and will involve a fleet of several hundred Smart Fortwo small cars. The subsidiary of Daimler AG says it now has 12,500 vehicles operating in 29 locations and serving over one million customers in Europe and North America. RIN prices have doubled – Renewable Identification Number (RIN) prices have recently doubled year-over-year in all three reported categories – biomass-based diesel, advanced biofuel, and renewable fuel. They’re still about 30% below the peak period during the summer of 2013, commonly referred to as “RINsanity.” High RIN prices are expected to shield biofuel producers from falling oil prices, while refiner profits will be cut into by high RIN expenses if RIN prices remain high. 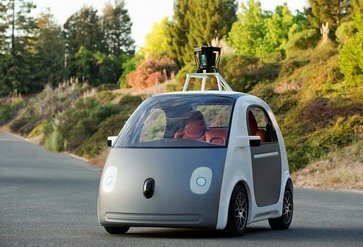 So who will be the dominant force behind self-driving cars? Google or Daimler? Mercedes played it up at the Consumer Electronics Show showing off its “F 015 Luxury in Motion” concept car with its futuristic metallic exterior, swiveling seats to support face-to-face passenger conversations, and touch screens every passenger could access. Daimler CEO Dieter Zetsche said that this Mercedes-Benz will provide an escape from the crowded urban environment of the future. So who is actually leading the EV sales race – the Leaf or the Model S? If you had read “This Week’s Top 10” a week ago in Green Auto Market, you might have assumed that the Nissan Leaf took top spot in US electric vehicle (EV) sales during December. It’s possible that the Leaf didn’t take the No. 1 sales spot – it may have been the Tesla Model S. It depends on who you ask. Tesla’s CEO Elon Musk did not want to give out the December sales number for the Model S while in Detroit to speak at the auto show – though the company had given out that number a year ago at the Detroit Auto Show. Tesla Motors doesn’t provide monthly sales figures like all the rest of the automakers do. Those sales numbers come through its quarterly earnings reports; its fourth quarter 2014 numbers will be released in early February; and will be for the quarter without monthly numbers. However, as mentioned in a few articles last week, Tesla may have beat Nissan – and those figures come from the Inside EVs publication and its monthly reporting. Stock market analyst service MarketWatch reported that the Model S became the best-selling electric car in the US during December 2014, beating the Leaf for the first time. Selling 3,500 units last month beat out the Leaf sales figure of 3,102 units. When you look at the Inside EVs chart for December, the footnote on the Tesla number reads, ”Estimated Tesla NA Sales Numbers – Reconciled on Quarterly Totals from Earnings Report (Q1 Sales reported @ 6,457-3,000 Intl Delivers, Q2 7,579 total-approx reported International registrations, Q3 7,785 total deliveries ~ 3,900 US).” Where is that fourth quarter estimate coming from? Who knows. Maybe the publication gets some of that information from Tesla – or they know a stock market analyst who does. There’s another figure much lower than that reported by Inside EVs – HybridCars.com and its sales reporting partner Baum & Associates said that the Leaf sold 3,102 units in the US and that there were 1,900 of the Model S units delivered. That’s a very wide gap from the 3,500 reported by Inside EVs. Green Auto Market – Extended Edition, the monthly subscription-based version of this newsletter, uses the HybridCars.com and Baum and Associates figures. Those figures have been reported longer than any other sales data, and Baum & Associates is respected in the industry for its expertise on alternative/clean vehicle reporting; HybridCars.com has done a very good job reporting on hybrids and EVs for several years. Very impressive product. If you’ve ever driven a Leaf or Model S, you’re likely to have been impressed by their performance and handling. The range is enough for now. You can go about 84 miles on the Leaf after a full charge, and up to 300 miles on the Model S (depending on which version of the Model S you’re driving). Most drivers are using these cars for daily commutes and short trips and know how to charge them everywhere – and usually do so. Range anxiety isn’t as much of an issue for them as it is for plug-in hybrid drivers, and for consumers and fleets just thinking about getting an EV. Leasing makes EVs more affordable. Leasing has made EVs more attractive for car shoppers. Tesla has created its own “guaranteed buy back” program and Nissan, Chevrolet, BMW, and other automakers are offering their own competitive lease packages. That’s helping get first-time EV buyers into EVs of all types.